The filmmaker had apologised for having such numbers where the dancer is ‘objectified’ and where men are ‘lusting for her', while promising that it won’t ever happen again in a Dharma Productions film. As soon ‘Aira Gaira' that was unveiled on Saturday, netizens were quick to remind him his statement and ask him why he did lie about it. Some even called him a 'hypocrite'. Did the latest song of ‘Kalank’, ‘Aira Gaira’ classify as an ‘item number’? While the answer to this question could have mixed answers, netizens are unhapppy with Karan Johar for saying that he’d never have item numbers in his films. Previously, Karan Johar’s banner has featured ‘item songs’ like ‘Chikni Chameli’ in ‘Agneepath’ and ‘Mera Naam Mary’ in ‘Brothers.’ In an interview at the end of last year, the filmmaker had apologised for having such numbers where the dancer is ‘objectified’ and where men are ‘lusting for her', while promising that it won’t ever happen again in a Dharma Productions film. 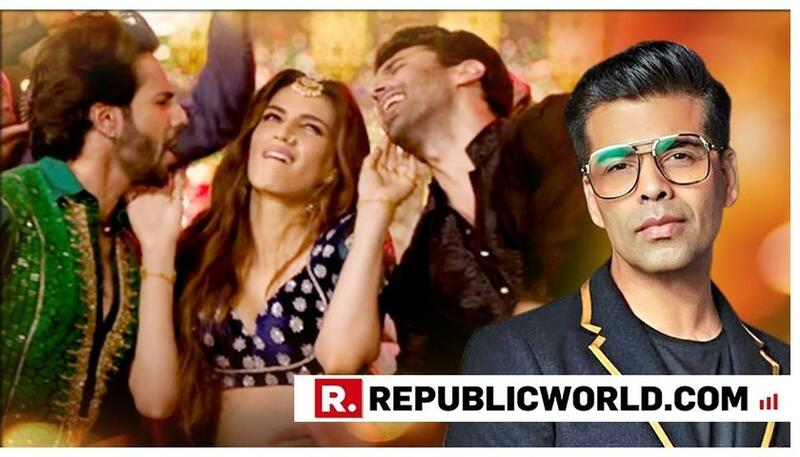 In the video of ‘Aira Gaira' that was unveiled on Saturday, one can see Kriti Sanon grooving with Varun Dhawan and Aditya Roy Kapur. While the duo are probably not ‘lusting’ over her as we've seen in the aforementioned songs, her outfit and some of the dance steps might bring it to the particular category. And I thought Karan Johar announced earlier that he will never have "Item Song" in his movies anymore.. Am I missing something? Mr.Johar, did you not say there will not be any item numbers in your films? What is this then ? these moves, this nudging of male actors and ishaarebaazi is anything but cool or cute!....take some responsibility if your medium has so much impact on the society....kya muh dikhaoge khuda ko??? Previously, KJo was also slammed by netizens for saying that he killed off Anushka Sharma’s character in ‘Ae Dil Hai Mushkil’ since she couldn’t love Ranbir Kapoor’s character back. Meanwhile, 'Kalank', also starring Alia Bhatt, Sanjay Dutt, Madhuri Dixit Nene and Sonakshi Sinha, gears up for release on April 17.